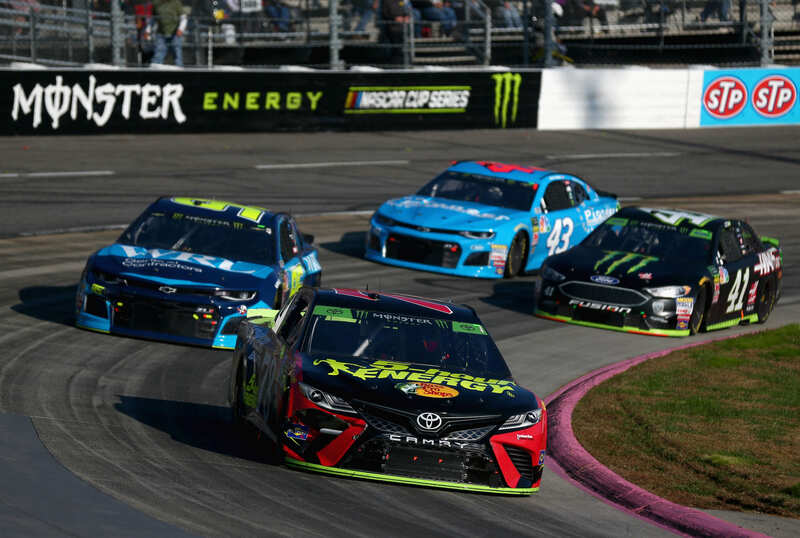 Martin Truex Jr closed on Joey Logano in a hurry in the closing laps of the Monster Energy NASCAR Cup Series race at Martinsville Speedway on October 28, 2018. It was the last short track race of the season and the first opportunity for a driver to claim their spot in the championship 4 race at Homestead-Miami Speedway. Both drivers were in the Round of 8 in the NASCAR Playoffs. A win is huge at this point of the NASCAR schedule! Martinsville opens the door for door banging finishes. The combination of those two things create fireworks on the Ridgeway, Virginia short track. However, Truex didn’t do that. He raced Logano clean. They ran side by side lap after lap. Logano was on the top and Truex was on the bottom. It was hard for the inside car to beat the momentum off the top. It didn’t help that Logano was pinching all the exits to keep Truex pinned down off the corner. But, in the closing laps, Logano got loose off turn four. They ran even at the line and Truex Jr was clean into turn one. On the final lap, Logano ran deep into turn three. He put the bumper to Truex. They crashed coming to the finish line but Logano took the win. This will be the final season for Furniture Row Racing and the #78 team. They won the championship last year but the team will close the doors after this season. “I’m happy I don’t have a baseball bat or a jack handle right now,” Cole Pearn concluded with a laugh. Joey Logano is the first car that’s locked into the Championship 4 at Homestead-Miami Speedway. That race is still three weeks away. “But, we’ll really turn an eye to homestead and make sure we’re prepared for that,” Gordon concluded.